Click here to see the "Trainer in Action." 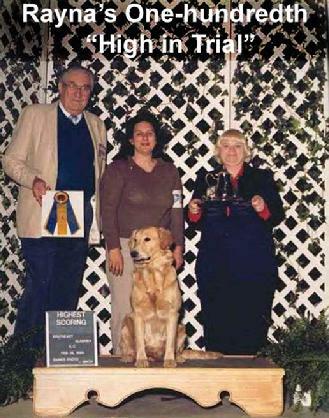 Jean Manino is ranked among the very best in the field of dog training. An accomplished 37 year veteran Obedience trainer, Ms. Manino, has dedicated her professional career to understanding and working with dogs. Prior to turning professional in 1979, the naturally gifted Manino studied under the tutelage of a world renown US Army Canine Master Trainer. Years of advanced obedience training combined with decades of upper level competition have fine tuned her program into the degree of excellence seen today. She is also a University of New Orleans undergraduate majoring in Communications. 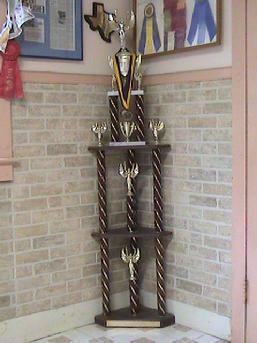 One of the many trophies won in Obedience Trial competition. This now nationally recognized and acclaimed Obedience Instructor has been actively competing in Obedience Trails for over 30 years. 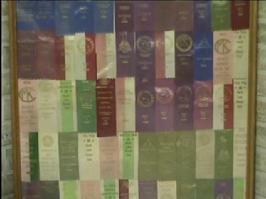 She has obtained every title offered by the AKC (American Kennel Club). As a serious competitor, Ms. Manino has secured a place in Obedience with her exceptional talent, and ability to get the best out of the dogs she trains. Jean Manino of JCM's is one of the very few Obedience Instructors still actively participating in Obedience competition. She holds multiple High in Trail awards, Dog World Awards, and Obedience Trial Championships. She is also the proud owner of two Conformation Champions. 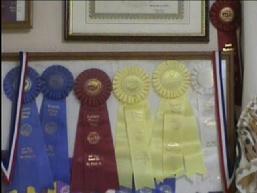 Ms. Manino not only competes with her own dogs, but has titled many of her client's dogs. No matter what the breed, she has never placed out of the top 4. Manino with her first "Laurell" Golden Retriever, Rayna. Both are shown here with Rayna being awarded on her one-hundredth High in Trial victory. 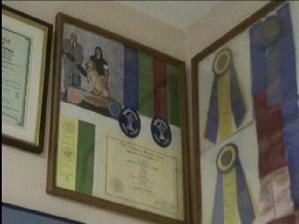 Rayna has also earned 3 Dog World Awards and achieved 5 perfect scores of 200. Many students from her basic (beginner) class have continued through the advanced program. 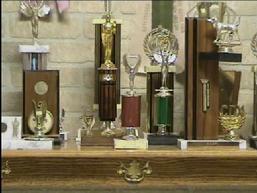 These students have competed very successfully, rarely placing out of the top four in all three levels of competition. However, your dog doesn't have to be a "show dog" to be well mannered, well adjusted, and a real part of your family and your life. 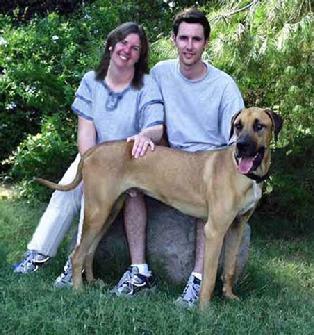 Ms. Manino has taken part in a great variety of dog-related activities. As a behavioral specialist she has been asked to give expert testimony in dog bite cases. She has conducted seminars, judged numerous AKC sanctioned obedience matches, and has volunteered three years of her time as the instructor of the SPCA's Care Cadet program. 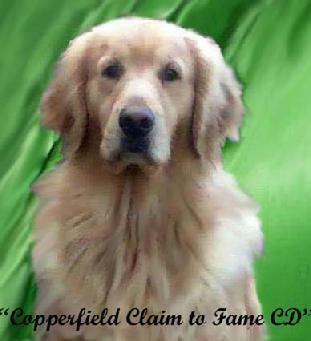 Glimpy (Copperfield Claim to Fame), Manino's newest Obedience Trial competitor, received his AKC Companion Dog title, May 25, 2009. 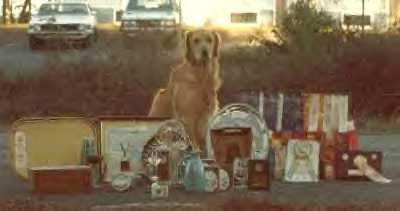 Copperfield Golden Retrievers is Manino's own personal line of Goldens. Her breeding program dates back to 1982 with bloodlines firmly rooted in Meadowpond and Laurell. 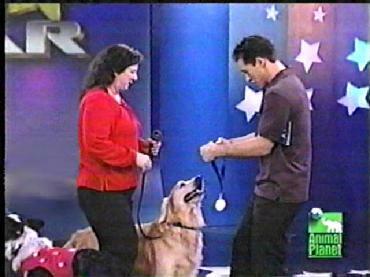 National Pet Competition on Animal Planet's Pet Star show hosted by Mario Lopez. For more information on our General Working Service Dog training program click HERE. 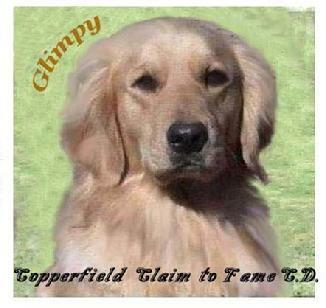 Copperfield Blessing in Disguise (Cody) with his family. Cody has his AKC Good Citizenship Award certificate and is a licensed, working Therapy Dog. Congratulations to the Rice Family. 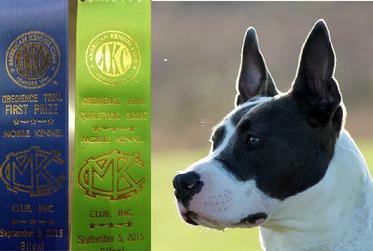 CKC Registered American Staffordshire Terrier, Nadja, received her Canine Good Citizen Award Certificate. She passed all requirements with flying colors. Nadja, competed in her first AKC Obedience Trial competition in the (Novice A) division. Nadja came away with her CD (Companion Dog) title, and 3 SPECTACULAR 1st PLACE WINS. Also, Nadja just recently became a licensed working Therapy dog. Congratulations to Nadja, and to her owners. 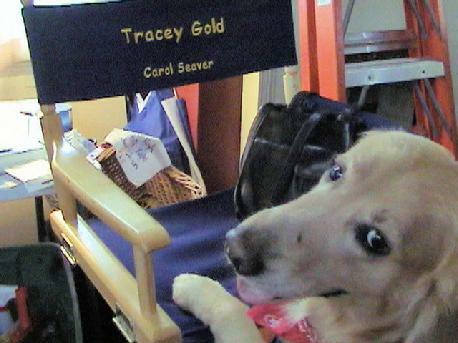 Owner, Brenda B., initially enrolled Golden Retriever mix, Bindi, in JCM�s Dog Training School to get her under control. They did so well, Brenda went on to get Bindi�s Good Citizenship Certificate. 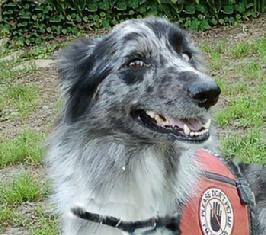 As of 2010, Bindi has become an official member of the Visiting Pet Program as a Licensed Therapy Dog. 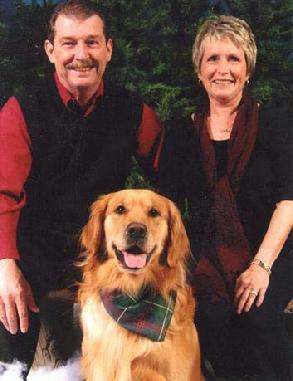 Congratulations to the Murphy family with their recently licensed Therapy dog, Ozone. Ozone also obtained his AKC Good Citizenship Award Certificate. He passed the test with flying colors after only 4 weeks into our 8 week obedience program. Miles, a 5 month old Great Dane puppy received his AKC Good Citizenship Award certificate. Just after turning 6 months he received a leg toward his C.D. (AKC Companion Dog) title. 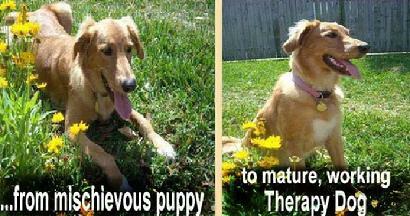 Miles will have his Therapy Dog certification soon. Congratulations to Candice M and her Goldendoodle, Winston. 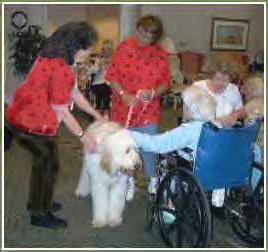 He is now a certified therapy dog and visiting nursing homes each week. (Certified April, 2012). Way to go, Winston.